With the superstar Aamir Khan's movie Dangal releasing this weekend, I felt like sharing a bit of my extensive documentary about Kushti wrestlers. 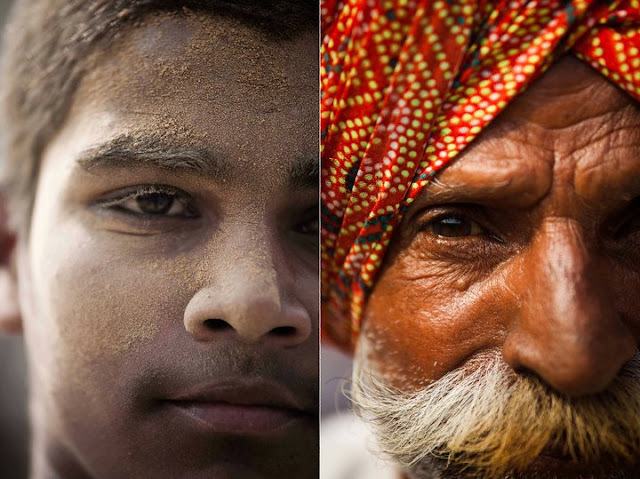 I shot these images over a span of 2 years, and travelled the country meeting a lot of these interesting sportsmen and women. 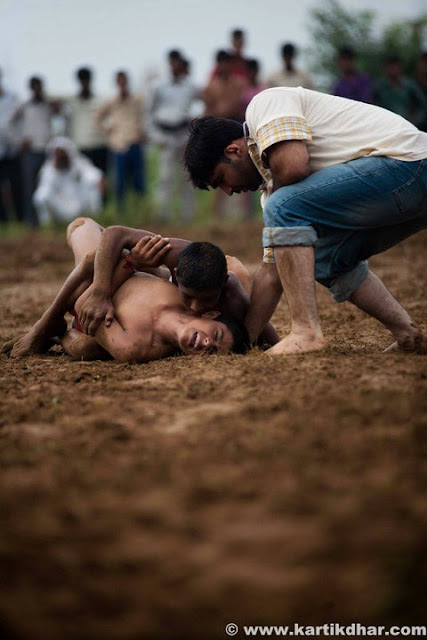 Wrestling is a quintessentially “Indian” Sport. Having a history as old as the 5th century BC, It has been explicitly detailed in the MallaPurana. 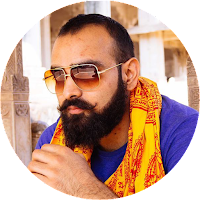 Siddhartha Gautama Buddha was known to be an Expert Wrestler, Wrestling is also mentioned in the Mahabharata as the wrestling match between Bhima and Jarasandha as well as the Ramayana when Sugreev’s Brother King Bali defeated Ravana in a MallaYudha. Pehelwani today is an amalgam of MallaYudha and Varjish-e-Pehelwani – a Persian form of wrestling, brought into India by the Muslims. 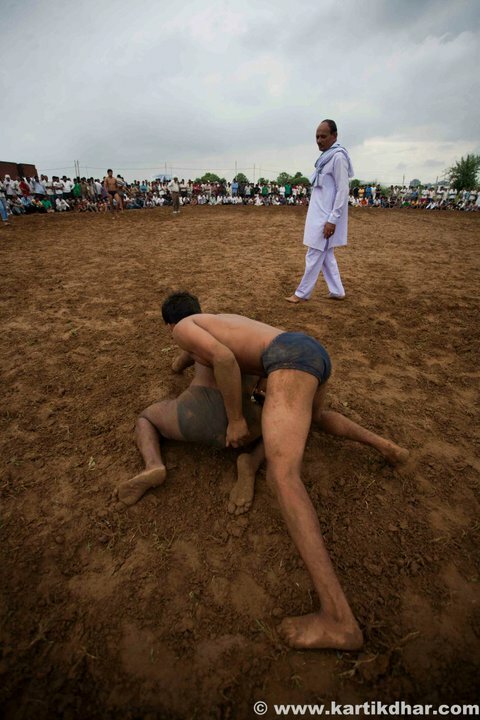 Pehelwani is essentially a Rural sport. Today the sport is in dire straits, with the popularity of other sports like cricket, traditional sports have fallen into neglect. Lack of interest from the Government, red tape and no funds have increased this problem extremely. Pehelwans, mostly live a life of austerity. Living in the akharas, maintaining a strict training and exercise regimen . Abstaining from tamasic foods and surroundings. It is an extreme form of Bhramcharya. 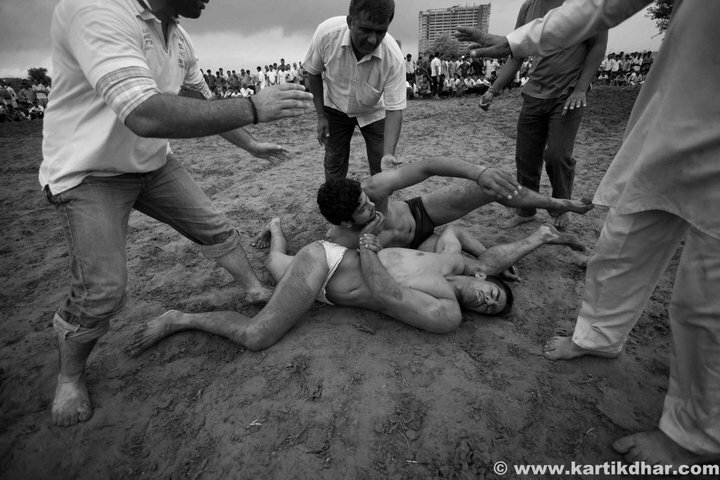 The soil on with the wrestlers Fight is mixed with Mustard Oil, turmeric, ghee and Milk. And a small pooja is done everyday before starting the training or a Dangal competition. 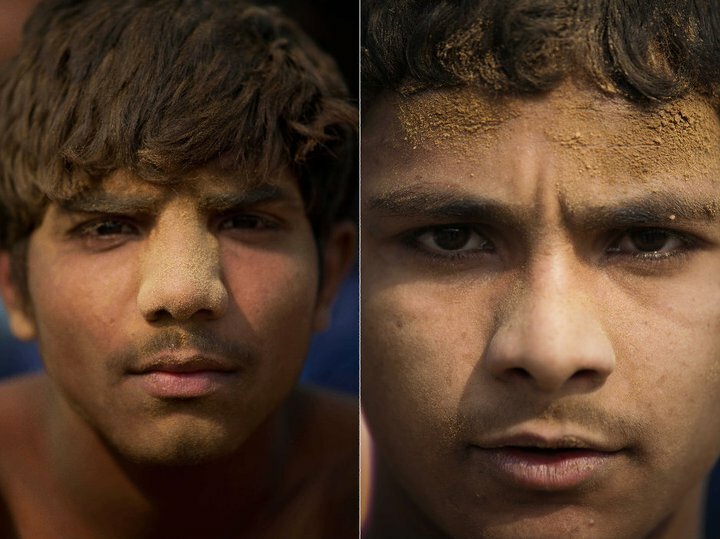 The wrestlers apply the same soil on their bodies before the fight. 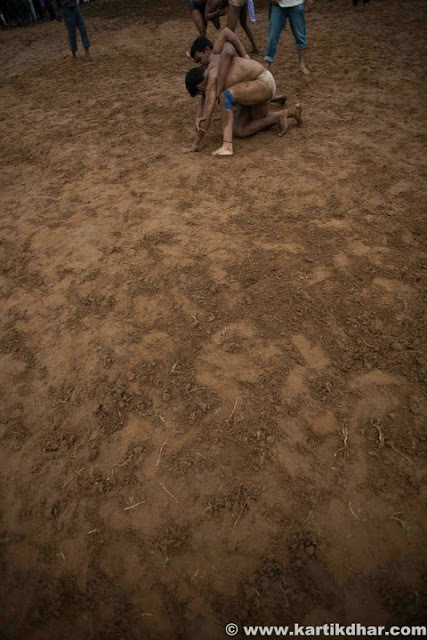 The Soil represents Bharat Mata.